Capture your happy memories at PlayZone Herne Bay! Photos delivered while you are still having fun at PlayZone. Over 5,600 people have enjoyed photosession with Splento. PlayZone Herne Bay has been bringing joy and happiness to families from all over Kent for years. 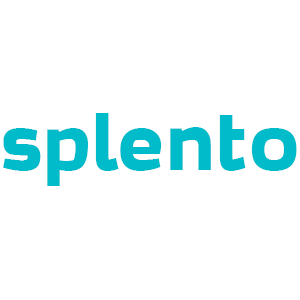 It has now teamed up with Splento to make the whole experience not just fun, but also a lot more memorable! Splento (the world's leading photography company) will set up a professional photo studio right by the main entrance to the building, opposite the cash register. Join us on Saturday, 16 February and get some timeless professional photographs of your kids! To get a further £10 discount, please fill in the survey here. Usually, we charge £99 per family, but on this occasion, we are doing a special offer of £29.99 for five high-quality studio photos, which we will print out on the spot and which you would also be able to download in digital format. We will take a free professional photo of everyone who wants one. The photo will then be edited by our specialist team of photo retouchers and sent to you via email while you are still having fun at PlayZone. During your stay at PlayZone, please feel free to stop by the Splento Studio and book a 10-minute slot. Right after the shoot, we'll upload all your images into Splento system and Splento’s professional photo editors (who are many times better than any photographer could possibly be) will airbrush and edit your photos and send them to your private gallery within 1 hour. You can also share the link to your session with your friends, classmates and family. Great service, brilliant quality and had the edited photos over to me in less than an hour. Our photographer was flexible on time, staying a bit after our appointed time to make sure we had everything we needed. Great photos as well! Brilliant as ever - great team on site - great results and swiftly delivered - you can't ask for more! Fantastic service! We're really happy with the quality of the shots.